Defence Minister Christopher Pyne has turned the first sod on Australia’s new Military Vehicle Centre of Excellence, marking a new milestone for the Australian Army and the nation’s developing defence industry. Located in the City of Ipswich on the outskirts of Brisbane, the centre – known as MILVEHCOE – represents a multi-million dollar investment by Rheinmetall, which is delivering both trucks and armoured vehicles for the Army. Mr Pyne said the new $170 million facility is a vote of confidence in Australian industry and the key next step in the over $5 billion Land 400 Combat Reconnaissance Vehicle program. “This is a nation-building effort involving 1,450 jobs across Australia for our newest armoured vehicles alone and reinforces the Federal Government’s drive to support the workforce behind the Defence Force,” Mr Pyne added. Defence Industry Minister Steven Ciobo said the MILVEHCOE would enable the creation of many new high-tech jobs across the country. “These are the jobs of the future – working on highly advanced military vehicles with advanced complex systems,” Minister Ciobo continued. 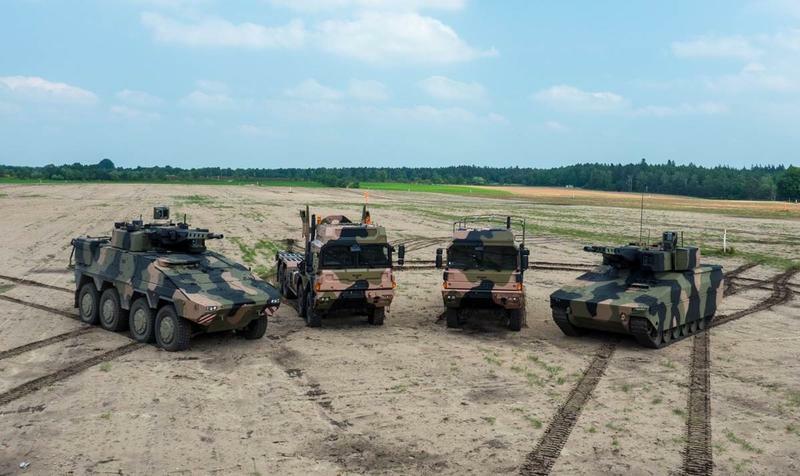 The MILVEHCOE will allow Rheinmetall to transfer cutting edge technologies to Australia in the areas of military vehicle design, production, turret systems, sensors, survivability, simulation and through life support. Rheinmetall said this transfer of technology – coupled with the scale of the Land 400 based Australian design and manufacturing – will underpin the establishment of an export oriented military vehicle industry that will collaborate with academic institutions in companion technologies and see significant development in SMEs around Australia that cooperate with the company through the MILVEHCOE.